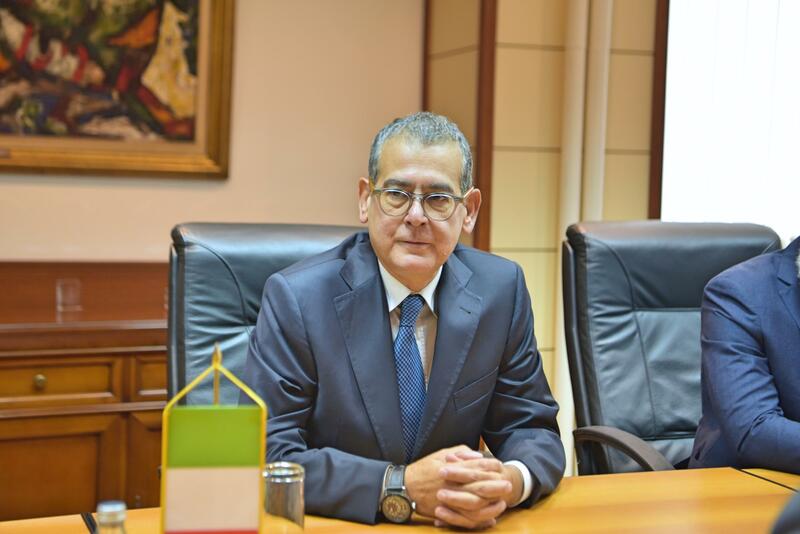 Minister of Defence Aleksandar Vulin has received today the delegation of the Agency for External Security and Information of the Republic of Italy (AISE) led by the Agency’s Deputy Director Lieutenant General Luciano Carta. 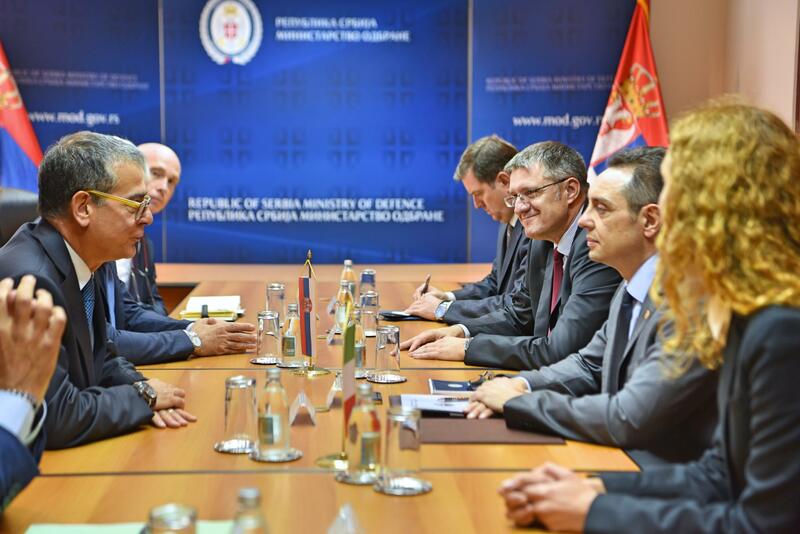 Colonel Zoran Stojkovic, Acting Director of the Military Intelligence Agency, was also present at the meeting. Migration issue and fight against terrorism as on the Mediterranean, so on the Balkan route and the dangers posed by migration flows since they are used for infiltration of the potential terrorists were discussed at the meeting. In that sense, the enhancement of the so-far successful cooperation has been agreed, primarily in the field of exchange of information. 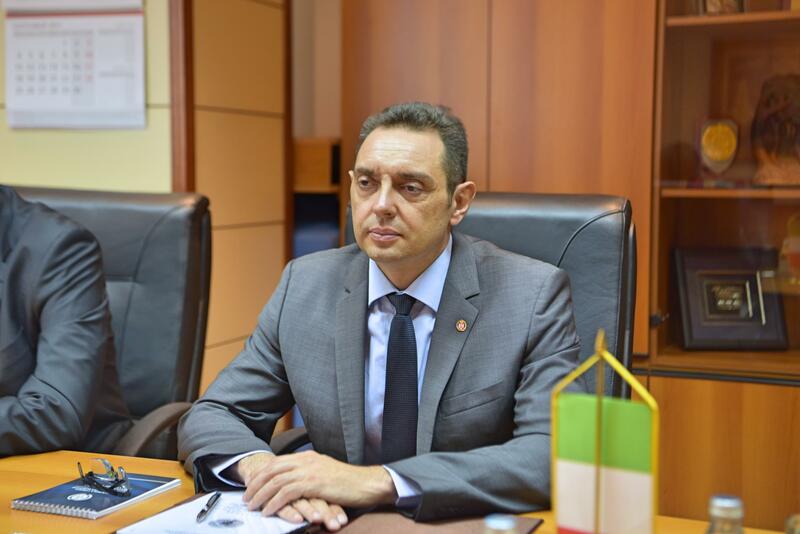 Minister Vulin expressed his special gratitude for the engagement of the Italian contingent in the KFOR mission which has significantly contributed to the preservation of the Serbian cultural heritage and provided safer environment for the Serbian people in Kosovo and Metohija.